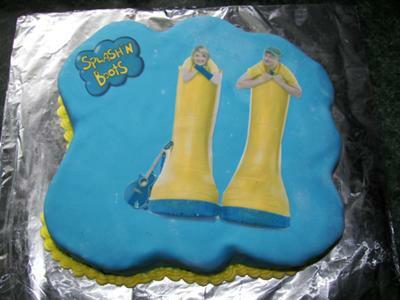 My son loves the children performers Splash n' Boots, so I asked my friend to make this Splash n' Boots Cake with their picture on it. This was for his 4th Birthday. Click Here For Splash N Boots Party Ideas!